Chevrolet Onix the hatchback by U.S. based car maker General Motors which was launched globally almost four years back in 2012, is going to get mid-lift upgrades. 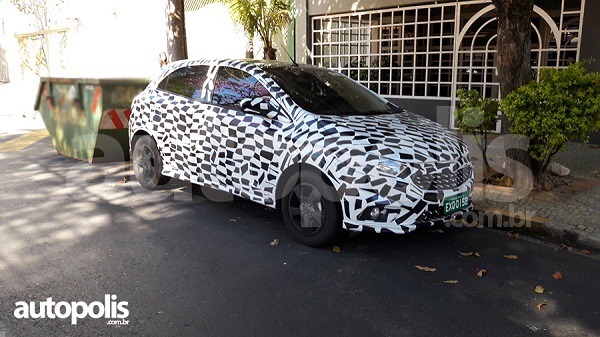 According to recent reports recently the unit of Onix was caught under lenses on Brazilian roads. Reports also reveal that the refreshed version of hatchback is speculated to be showcased sometimes during this month. As far as changes under bonnet are concerned nothing has been so far officially revealed by company sources. The existing engine configurations offered in Onix are 1.0 litre four cylinder flex fuel engine that churns the power 78.9 hp and torque of 96 Nm when running on ethanol and power 76.9 hp and torque of 93Nm when driven on petrol configuration. It is coated with five speed manual gear transmission system. Another engine configuration includes 1.4 litre four cylinder flex-fuel engine boosting the power of 104.5 hp and torque of 136Nm while running on ethanol and power of 96.7 hp and 127Nm torque when running on petrol. The engine will be mated with five speed manual transmission system but will also have an option to change it into six speed automatic transmission system. 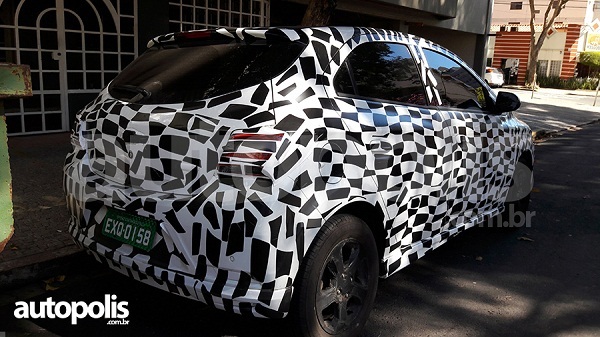 From the pictures captured by spies it is witnessed that new Chevrolet Onix will carry newly developed radiator and airdam grille, new front bumper with upgraded taillamps. It is reported that these changes will also be continued in the Chevrolet Prisma which is recognized at sedan version of Onix. According to information revealed in reports the company will also bring the third version of Onix as Onix Activ which will be rugged look of the original hatchback. To make it look different from its predecessor it will carry have features like factory fitted roof rails and fenders.